We freight to all parts of the Caribbean, providing the best service for over 25 years! Trusted and Reliable! We are the leader in the shipping industry! Dennis Shipping provides exceptional, personalized local service in the Caribbean as well as in the Tri-State area. Our integrated communication system allows customers to contact any of our offices and recieve current information, and services, anytime. Dennis Shipping adheres to the company's philosophy, emphasizing performance and exceeding customer service expectations, through efficiency, reliability, versatility and innovation. At Dennis Shipping, we focus on bringing opportunity to our customers by utilizing all of our extensive equipment and resources; we always play an integral role in helping our customers find the best ways to ship their cargo. Primary services we offer include Ocean Freight, Door-to-Door, Pre-Clearance, Automobile Shipping & Container Shipping. Please use the menu below to learn more about our services. We offer shipping services to many destinations across the Caribbean and Central America by sea; utilizing various Ocean Carriers to optimize getting your cargo to destination in the shortest time frame possible. Shipments usually arrive within two (2) to three (3) weeks*. We pick up barrels, boxes, furniture, appliances and packages throughout New York and Florida. You can also have these items delivered or dropped off at our warehouse for fast efficient service. You can even pack your barrels and boxes at our locations for your convenience. Click here for tips when packing barrels/boxes. You can schedule your pick up, by calling any of our offices and providing the name, address, phone number of the shipper as well as the name, address and phone number of the receiver/consignee. For your convenience, you can also schedule your pick up online by clicking here. We offer a vast array of custom crating and packaging alternatives. You can bring your items to our warehouse for crating/packaging. We provide crates for glass items, television and electronics, marble, granites, fragile items and much more so you can ship with peace of mind. We have standard shipping rates for barrels. 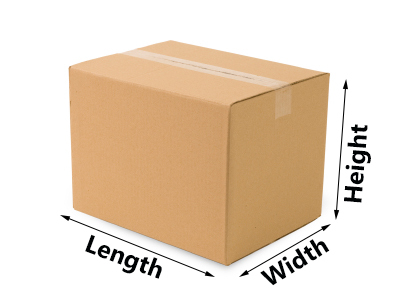 For non-barrel items, contact us with the length, width and height for an estimate. Remember, when your barrel is delivered to the shipping company to be shipped overseas, it will be loaded, packed and stacked on top or below other barrels, boxes and other items in a 20 foot or 40 foot container. This container will then be stacked on a ship with hundreds more. Because of this, the way you pack your items can certainly influence the way your items will be received at the destination. Sort all items before packing. Toiletries, canned food, dried food, clothes, heavy items etc. Tape the cover of liquid items. Canned items should never be placed next to or on top of bottles and items with liquid as they tend to squeeze out during shipping. Heavy items should never be placed on top of these bottled items as well. Instead keep bottled items on top of canned and heavy items. Place them in bags just in case some spillage occurs. Put heavier items, and canned food to the bottom; trying to keep similar shaped items together. It’s always a good idea to put canned items in bags just in the event spillage occurs during shipping. Soap items should never be shipped with food items as the scent is usually transferred to food items in the barrel. Dried foods, rice and fragile items should be packed closer to the top. While there are no guarantees on shipping glass and fragile items, it is best to have these packaged, crated and shipped separately. As you pack, small items can be squeezed into small spaces to make the best of the space. Clothes, towels, linens can be used as protection to separate heavy items from more delicate items on top. **Tips given are just a guideline and does not guarantee that there won’t be damaged or spilled items in barrels. Want to avoid the lines and time spent at the port? Let us pre-clear your shipment and have it ready before you arrive to pick up. With this service, you significantly reduce the amount of time spent trying to pick up your shipment. We handle all the paperwork and local documentation at Customs/Wharf for a cost of $50.00 per item and $5.00 for each additional items up to five pieces. A copy of your Tax Registration Number (TRN), Photo ID and a letter authorizing us to pre-clear your shipment will be required. After your shipment is cleared it can be picked up at one of our locations in Kingston or Montego Bay, Jamacia. Please note that this does not include custom duties, wharfage and handling which must be reimbursed to our office. For additional shipment and cost please speak to one of our representatives. Door to Door service entails delivering shipped items to the receiver’s address in Jamaica Dennis Shipping will complete the customs process on behalf of the consignee. This includes customs checking the shipped items in the presence of a Dennis Shipping representative. This takes the hassle out of your loved one having to be at the port to clear shipments. ***Note well, the name & spelling of the consignee must match the ID used. Any discrepancies the shipper will have to do an amendment letter addressed to Jamaica Customs to make changes. The consignee will also have to pay a fee in Jamaica to effect changes. Contact Us Today for more information! Vehicles shipped with your peace of mind by utilizing all of our extensive equipment, expertise and resources. We ship cars, vans, trucks and more. Contact us today for a quote. Import Trade License (Applies to vehicles being shipped to Jamaica. Such documentary evidence as may substantiate your residence outside of Jamaica for more than the past three (3) years (short visits will not affect eligibility). Documentary evidence as may substantiate your intention to re-establish permanent residence in Jamaica. Students will also have to provide a letter from the educational institution attended confirming the duration of study or transcript. The Unaccompanied Baggage Declaration form (C27) done electronically at the airport by the examining Customer officer on request. You can visit the Jamaica Customs website for more information. If you want to ship your own container, we can definitely handle this. Whether it’s a 20 foot or a 40 foot container filled with furniture, appliances or any of your personal belongings call us today for a quote. Once your deliver your barrel to our warehouse or have them picked up by us; the barrel is sealed in your presence and the unique seal number recorded on your bill of lading, which can be checked by your party picking up at destination ensure it is the same. Any discrepancy should be reported to the Customs Officer at time of inspection. Write up the name and address of the receiver on the side on items being shipped prior to pick up; this assists our team to complete pick up in a timely manner. It is always a good idea to purchase insurance for appliance, televisions and furniture items. Damages which occur during shipment can only be claimed for if your purchased insurance. Always inspect your items thoroughly at the port before leaving as claims cannot be made after you leave the port. Get a damage certificate from Customs official and take pictures of items. Forward these to your Dennis Shipping rep to have your claim started. Speak to our customer service representative for more information. Damages cannot be claimed for improperly packaged items. It is never a good idea to force barrels, boxes and plastic container with more items than they can hold; this results in damages. It is always a good idea to ship early and way in advance of anticipated events especially during holiday seasons. Remember, delays can always happen arriving from weather or mechanical malfunctions with the ship.